These last few months have been pretty great for iOS gamers. There have been several games that are more like interactive works of art with puzzles built in. 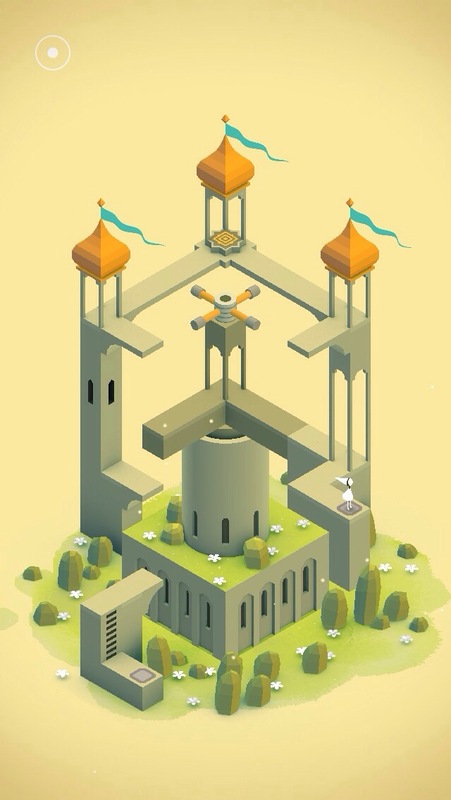 Tengami and Oquonie are two great examples, and now we have Monument Valley, which feels like a close relative of the two, with a generous helping of The Room thrown in. But in case you think that Monument Valley simply borrows from other games, let me assure you that’s not at all what I mean. The game is very unique in its own right. It takes Escherian landscapes, featuring impossible architecture that you must use to your advantage. (If you’re not familiar with M.C. Escher’s artwork, Google it now.) 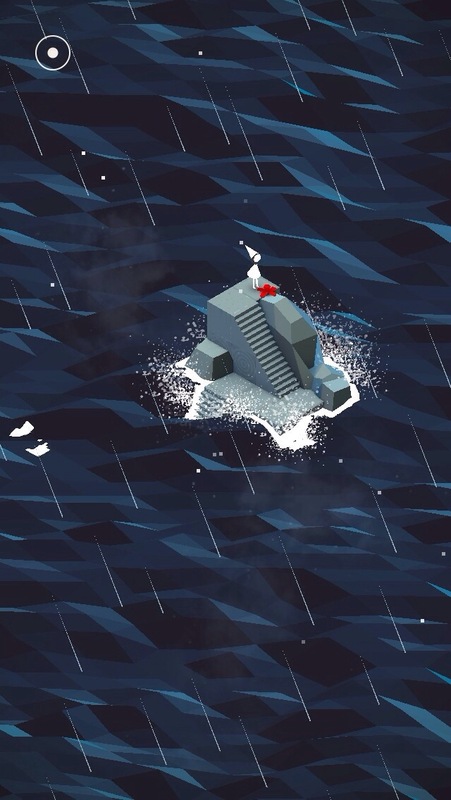 You’ll encounter shapes and paths that could not exist in real life, and you need to keep reminding yourself that the spatial laws you’re used to don’t exist here. You control Ida, the Silent Princess, by tapping where you want her to go. If there’s a clear path to that spot, she’ll scurry over to it. Each chapter consists of puzzles that you need to solve in order to progress. You’ll have various tools at your disposal, including dials that rotate pieces of architecture, and others that slide. The real magic comes when you shift perspective to create new paths that weren’t visible before (sometimes because they didn’t even exist before you changed perspective). While it seems the laws of reality are broken here, this world does have its own set of rules, and you need to learn how to use them to your advantage. On your journey, you’ll encounter some friends to aid you, as well as some enemies that can both hinder or help you. But even the parts that require timing aren’t very stressful. The crows might get in your face and talk tough, but they don’t hurt you. There are no timers or leaderboards, so you can go at your own pace and just enjoy the journey. Take your time and think about your next move while listening to the gorgeous soundtrack. And speaking of the soundtrack. 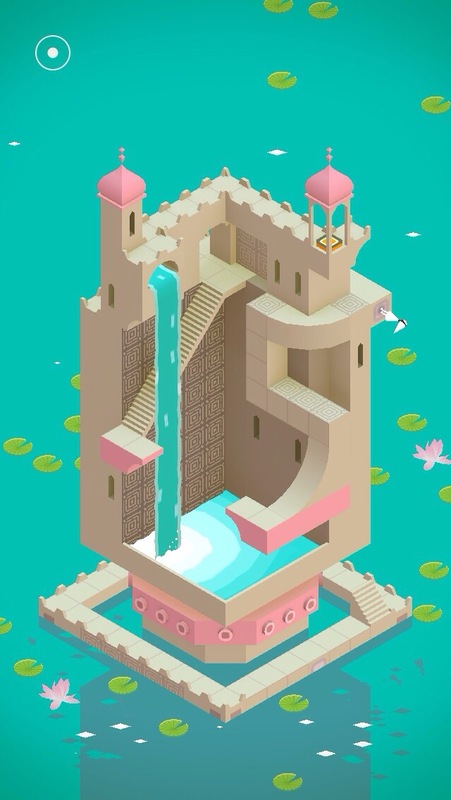 The audio experience in Monument Valley is highly underrated. Don’t make the same mistake I did in the beginning by playing on-the-go with it muted. Sit down and plug in headphones. Trust me, it’s worth it! The sound effects created by your actions add to the already gorgeous soundtrack. Rotating or sliding an object sounds like notes of different instruments. I even found myself randomly spinning things just for the musical benefits. Plug in headphones and get lost in the audio and visual ecstasy. But beware, it’s dangerous. I missed my stop on the train because of it! 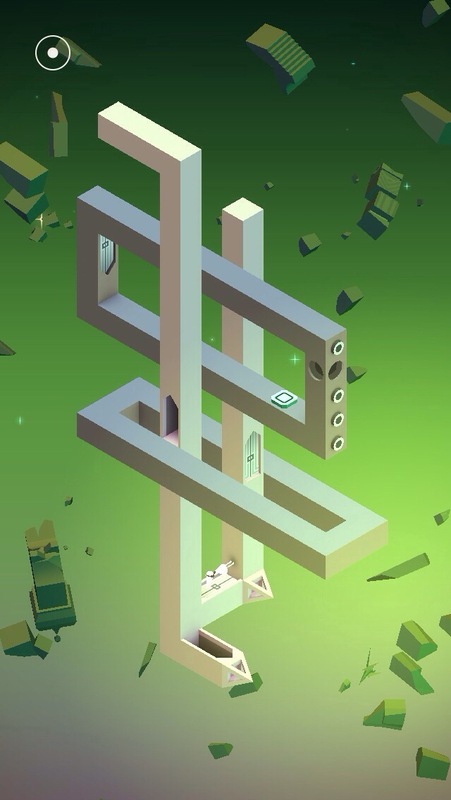 Monument Valley has the kind of polish you see in The Room series. Like The Room, this game feels made for touch screens, as you move and slide things around with your fingers. The controls are always spot on, leading to a relaxing, and never frustrating, experience. I didn’t encounter a single bug or glitch. I also appreciate that the developers had Ida scurry around, as opposed to walking slowly in an effort to lengthen the game. Ida responds quickly to your commands, so you don’t have to worry about whether you move her to the right location. Correcting your mistakes is quick and easy, because the controls are responsive and Ida moves swiftly. In what is both a brilliant add-on feature and a genius marketing tool, there’s an in-game camera that allows you to zoom in on a section and share the photo with friends via Facebook and Twitter. The gorgeous graphics lend themselves beautifully to this, as each tower, or monument, begs to be framed and hung on a wall. 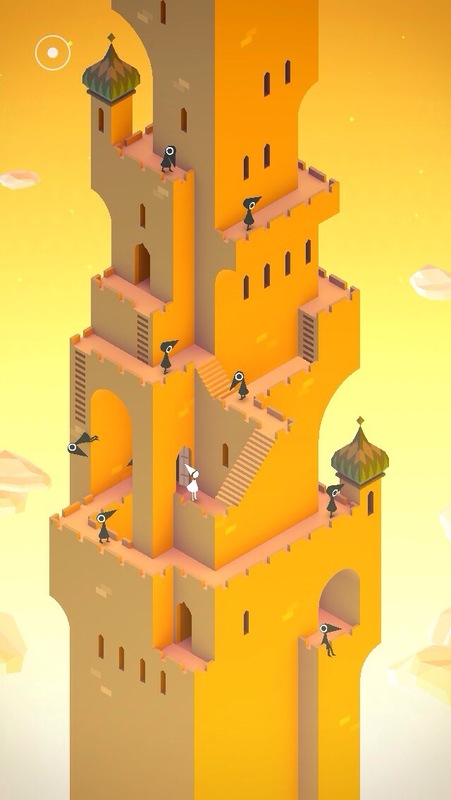 To see what photos others have snapped, browse the #MonumentValleyGame hashtag on Twitter. It’s interesting seeing what stood out to other players. My only complaint is a small one, and nothing that should deter you from purchasing the game. I’d like the game to be longer, and for the puzzles to be a bit more challenging. Some parts didn’t even give you any choice other than to keep walking along the path. But the developers have expressed interest in adding more content, including more challenging levels, so hopefully that’s something we’ll see in the near future. But for now, just bask in the sheer delight of manipulating impossible architecture. 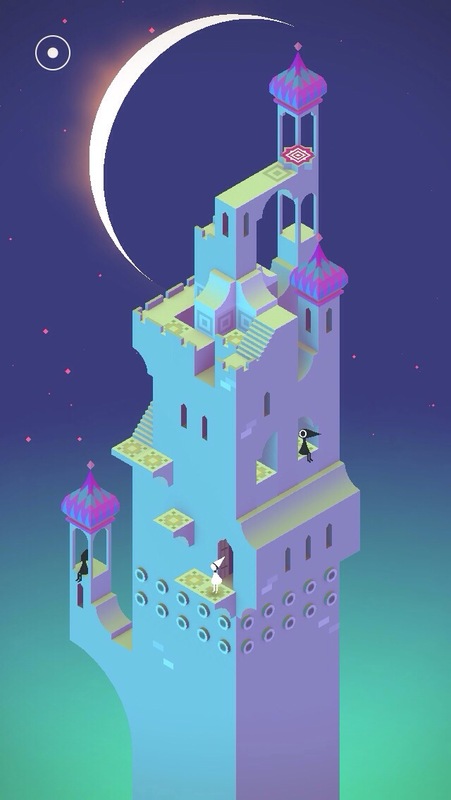 Monument Valley is something you simply need to experience. 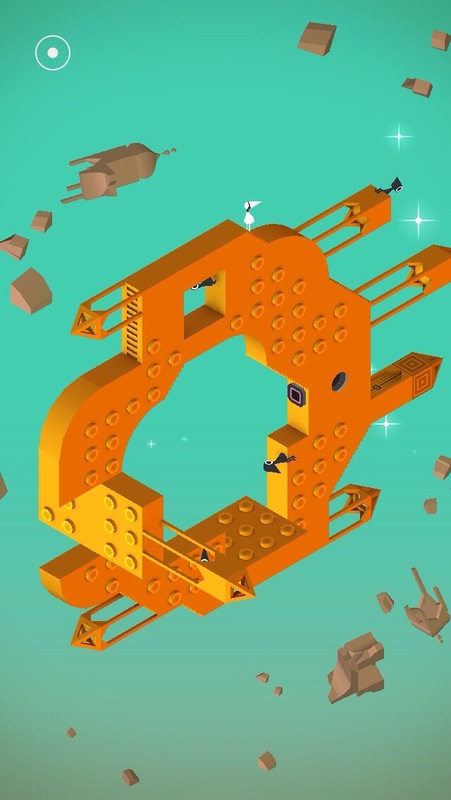 If you need help with any of the puzzles, try our complete Monument Valley walkthrough. Click on the little icon with a + near the top. You’ll need to buy them as an IAP. How do you save if you are in between chapters???? I don’t think you can save between chapters. They’re each short, so you need to finish a chapter in a sitting.